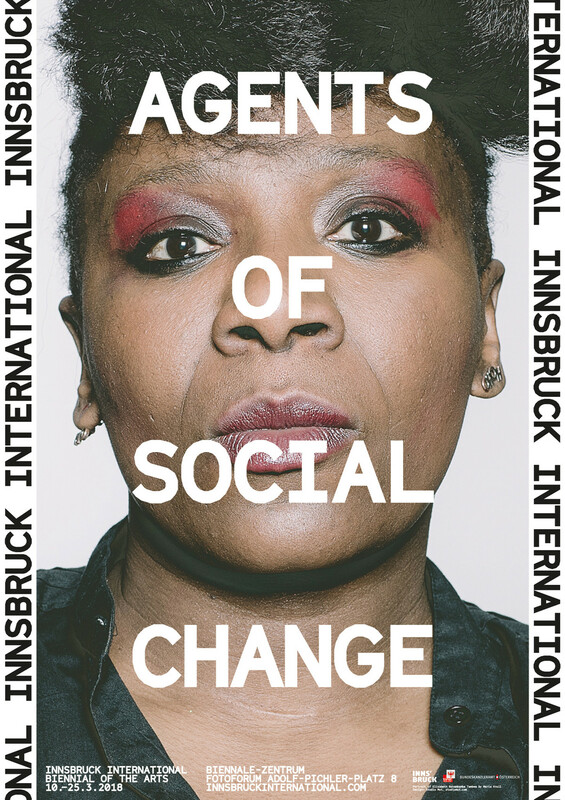 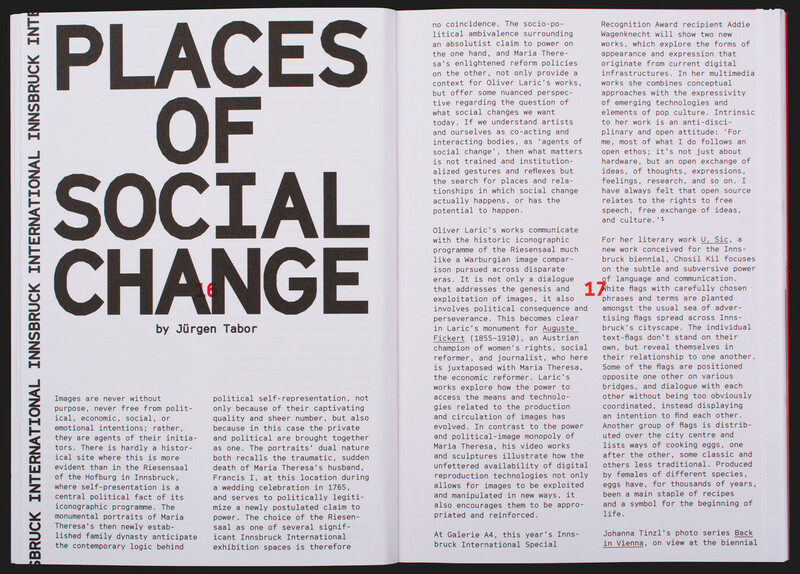 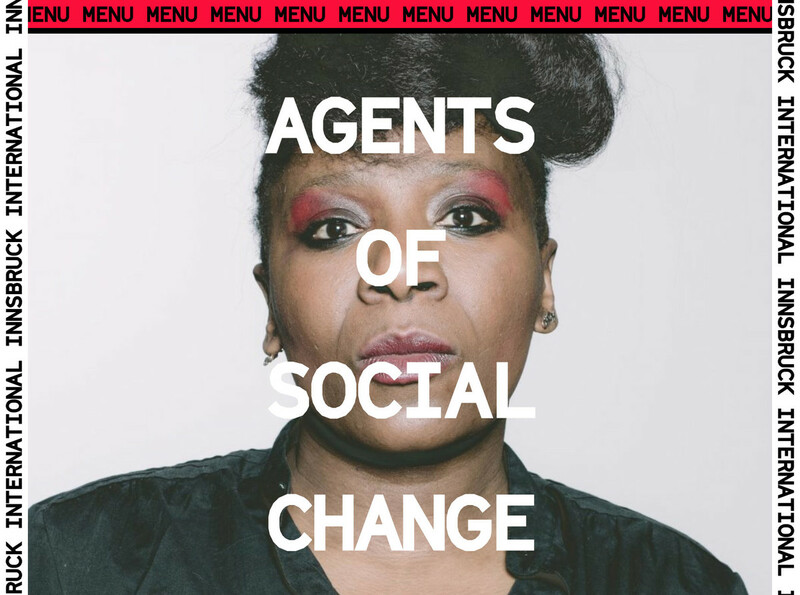 Three strong female artists and the slogan «Agents of Social Change» communicate the 16 day event, taking place in over 10 locations, and presenting more then 20 international artists. 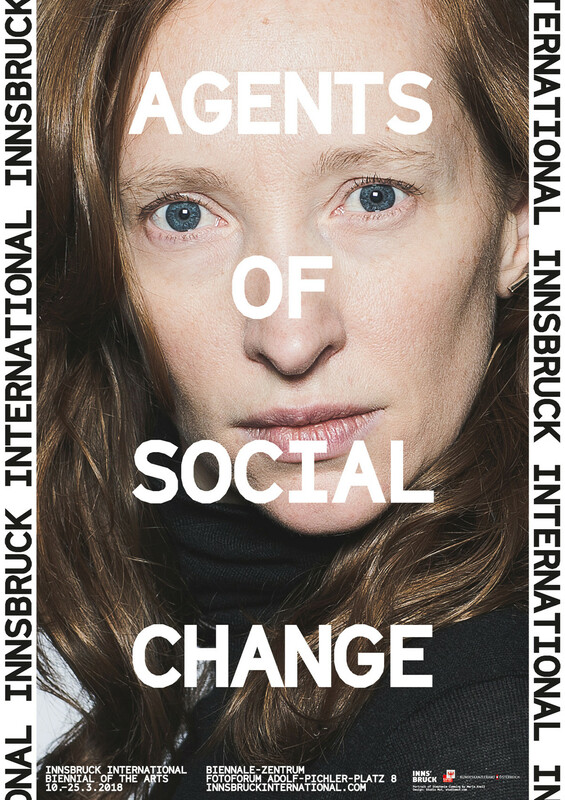 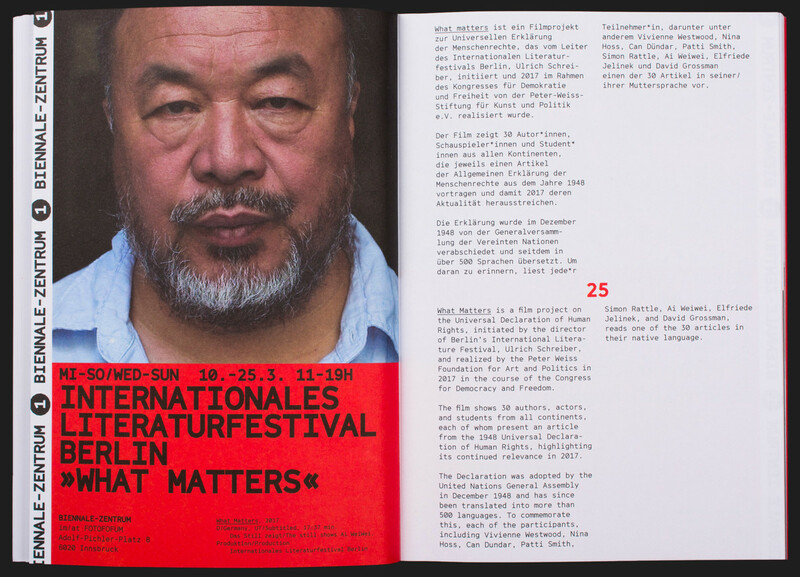 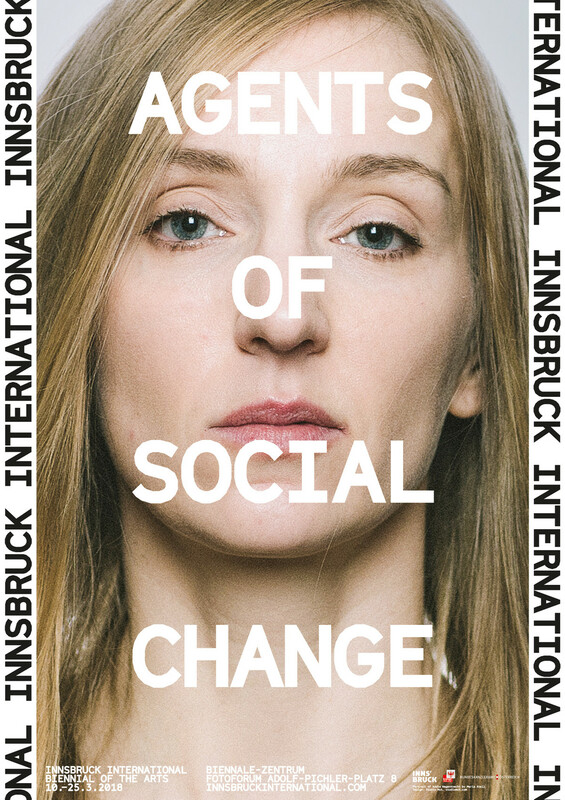 The completely redesigned identity programme and design for the Biennial of the Arts Innsbruck includes posters, advertising, program books, and a mobile website. 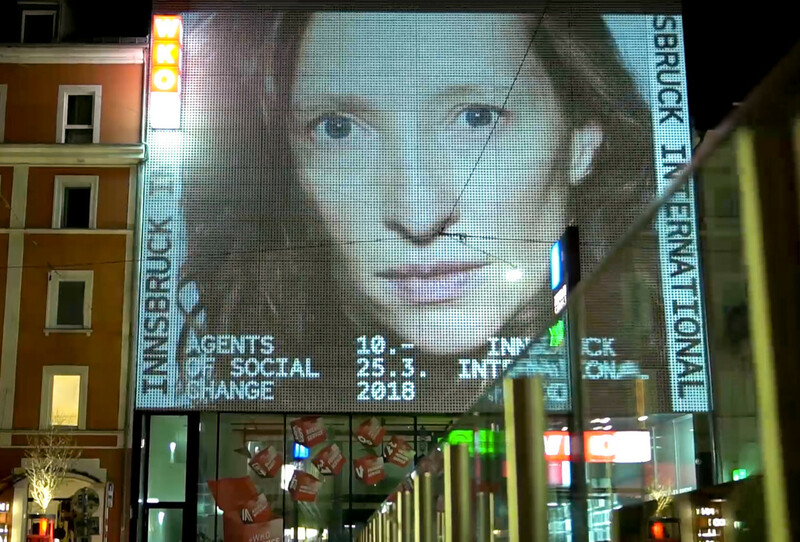 The distinctive portraits of the 3 leading artists / performers create an immediate connection with the audience. 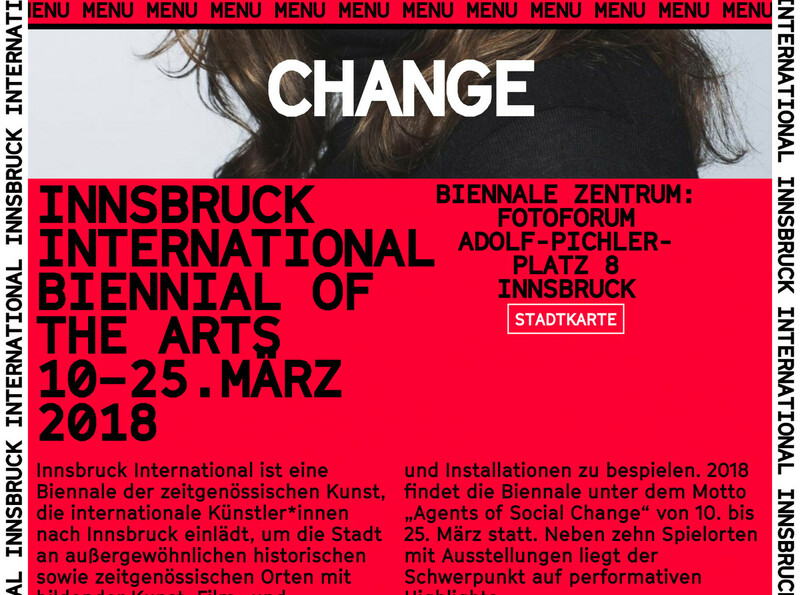 With the basic elements in place — the typeface, the colour, the Innsbruck International ribbon — we were free enough to design very different media without loosing the Innsbruck International brand. 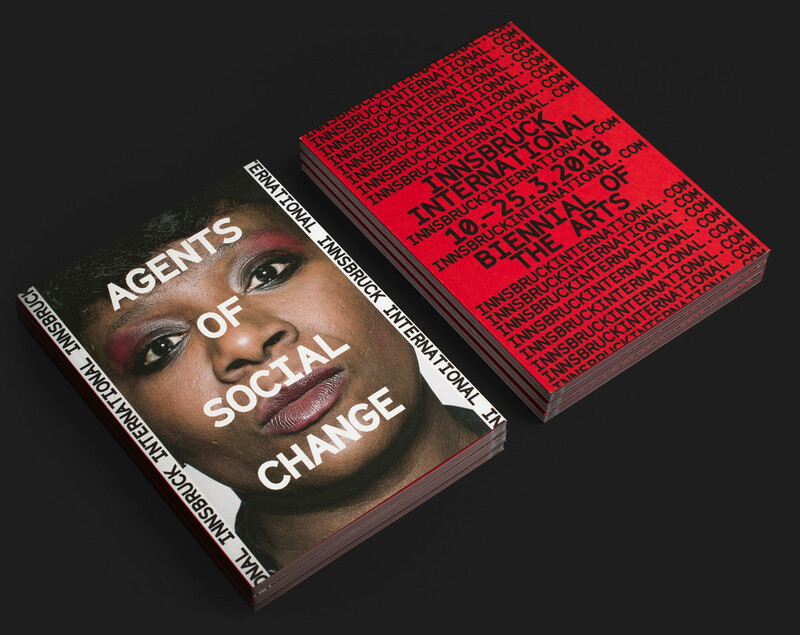 Brand design, ad campaign, poster series, program books, responsive website.